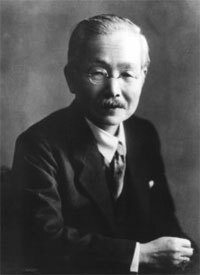 On this date in 1908 the Ajinomoto Company was founded on the work of Kikunae Ikeda who that year discovered and patented a method for producing monosodium glutamate (MSG), still one of the company’s main products. Ikeda Kikunae was eating dinner with his family when he suddenly stopped. That day his cucumber soup was more delicious than normal; after stirring a few times he realized the difference was the umami flavor from the addition of kelp. He understood that kelp was the secret to that flavor, and from that day on he studied the chemical composition of kelp. After half a year of research he discovered that the flavor of kelp is derived from sodium glutamate. This chemical, sodium glutamate, is the chemical basis for the umami flavor. He found that the most important compound within seaweed broth for common use was actually a glutamate salt, which he identified with the taste umami, a Japanese word meaning ‘pleasant taste’ or ‘savoriness’. Westerners generally know that the tongue can identify salty, sour, bitter, and sweet, but have yet to fully grasp that there is a fifth savor – umami. The old notion that salty, sour, bitter and sweet are the basic tastes detected by specific regions of the tongue is seriously outdated, but it’s one of those concepts (like right and left brain) that won’t let go in popular consciousness even though debunked by biologists. 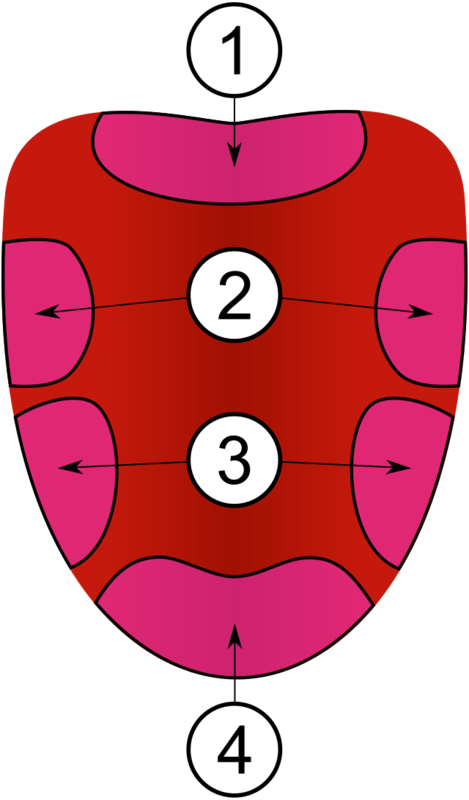 The FIVE basic tastes (including umami) are detected by all parts of the tongue not as illustrated in this commonly found diagram. Many foods are rich in umami. Umami taste is common to foods that contain high levels of L-glutamate, most notably fish, shellfish, cured meats, mushrooms, vegetables (e.g., ripe tomatoes, Chinese cabbage, spinach, celery, etc.) or green tea, and fermented and aged products involving bacterial or yeast cultures, such as cheeses, shrimp pastes, soy sauce, nutritional yeast, and yeast extracts such as Vegemite and Marmite. 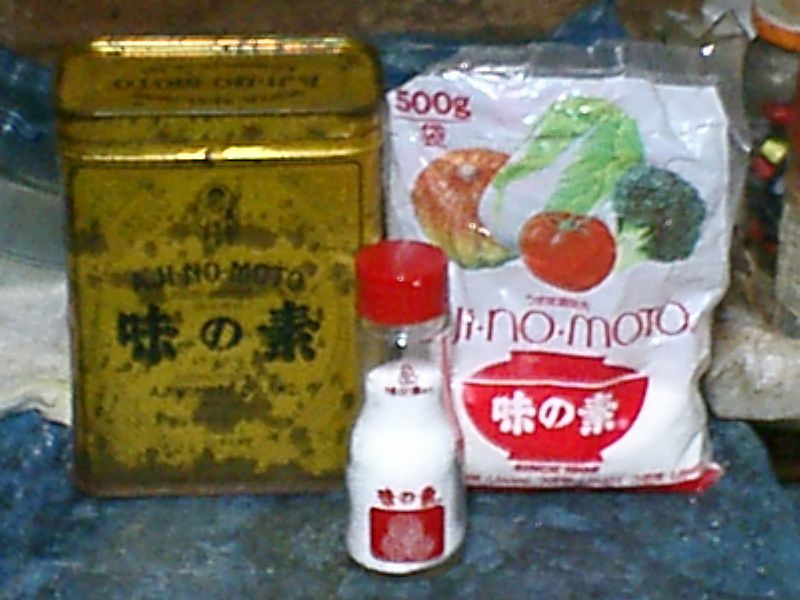 Many Asian broths, pastes, and sauces are abundant in umami, as is tomato ketchup. Many humans’ first encounter with umami is breast milk. It contains roughly the same amount of umami as broths. It is a popular belief in the West that large doses of MSG can cause headaches and other feelings of discomfort, but in controlled studies scientists have been unable to trigger such reactions. Nonetheless many Chinese and Japanese restaurants in the West put “no MSG” notices in their menus. I have always used it as a flavor enhancer in soups and stews, partly because I rarely use salt in my dishes. No one who has come to dinner at my house has ever complained of headaches. I do use small quantities, however, because increasing the amount does not increase the effect. Scientific study shows that the optimum concentration varies by food. In clear soup, the pleasure score rapidly falls with the addition of more than one gram of MSG per 100 ml. Not sure what to do for a recipe. MSG is not really the kind of ingredient you can feature. I suppose Japanese dashi is the obvious choice because of its rich umami taste. 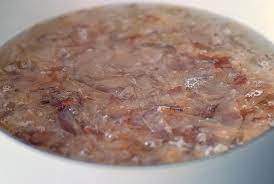 The most common form of dashi is a simple broth or fish stock made by heating water containing kombu (edible kelp) and kezurikatsuo (shavings of katsuobushi – preserved, fermented skipjack tuna also called bonito flakes) to near-boiling, then straining the resultant liquid. Homemade dashi, made from dried kombu and katsuobushi, is less popular today, even in Japan. Granulated or liquid instant dashi replaced the homemade product in the second half of the 20th century and that’s what I usually use. Compared to the delicate nuanced taste of homemade dashi, instant dashi tends to have a stronger, less subtle flavor, due to the use of chemical flavor enhancers—glutamates and ribonucleotides. Best method is to soak 2 pieces of kombu in 4 pints of cold water. Then bring to the point where the water begins to form bubbles over medium-low heat. Leave at this point for about 5 minutes, then turn off the heat and remove the kombu. Sprinkle in 2 cups of bonito flakes and stir. Let sit for about 30 minutes then strain the broth through a cheesecloth lined sieve. 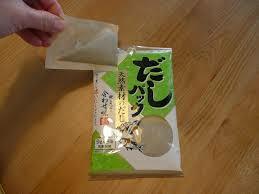 You can re-use the kombu and bonito flakes to make a second (weaker) dashi if you like. Dashi is like a mother stock in Western cooking, used to make clear soup, miso soup, and a host of sauces and flavorings.